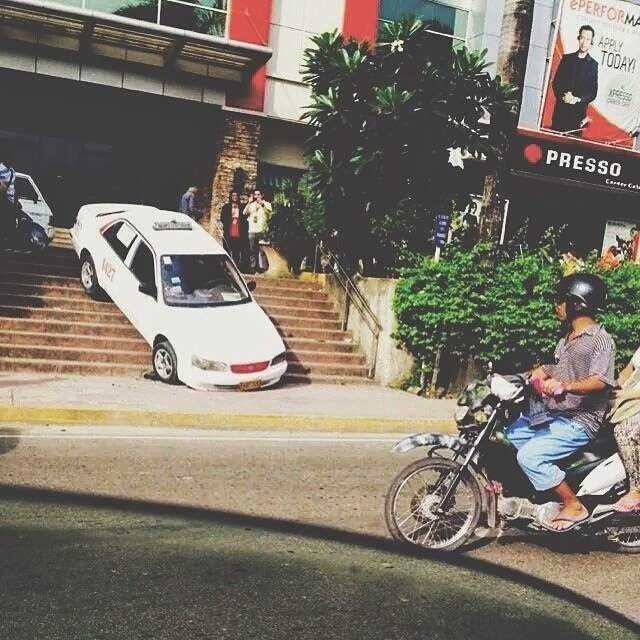 This taxi cab struck in stairs in Cebu City photo became viral and popular online. This was happened in JY Square mall in Lahug, Cebu City. The photo shows a taxi cab that [maybe] struck at the stairs. Posted in social networking websites and now garnered thousands of shares and likes. We have no information yet about what had happened on the taxi cab why it was in the middle of the stairs. What do you think happened? Was the driver lost his control on the cab? Caption this - only in the Philippines.